It is with deep sadness that we announce the passing of our Founder, Janet Marsh Zeller. Janet was a remarkable woman and will be deeply missed by many. Please keep her husband, Lou Zeller, and her family close in thought and prayer. Condolences may be sent to Louis Zeller, PO Box 88, Glendale Springs NC 28629. In lieu of flowers, people may make donations to BREDL earmarked for the Janet Marsh Honorary Fund. The Blue Ridge Environmental Defense League Board of Directors has established a fund to honor the work of Janet Marsh Zeller, who founded the Blue Ridge Environmental Defense League and served as its executive director for 28 years. The honorary fund supports the ongoing mission of the Blue Ridge Environmental Defense League. Individual gifts accepted throughout the year. All donations to BREDL are tax-deductible. Liquefied Natural Gas Export Terminals+Pipelines+Fracking Equals MORE FRACKING PIPELINES! BREDL has drafted a resolution template calling for full disclosure of chemicals to be used, stored, and transported at fracking sites, and we hope that groups across the state will adopt this resolution so that it can be presented to local governments in with support from their respective communities. The resolution is designed to be passed among organizations and local governments who can write in their own names and official status. We are asking that local groups adopt and share the resolution widely as an organizing tool in your communities. 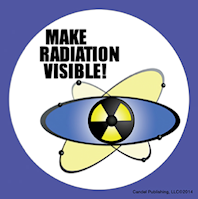 Help BREDL hold Duke Energy accountable for the responsible management of their toxic waste. Please sign BREDL's petition to tell NC Gov. McCrory: "Don't Dump Coal Ash on Our Communities!" BREDL's technical report which details the dangers of landfilling coal ash and recommends the proven saltstone technology for the coal ash at Duke Energy's fourteen power plants. The report entitled "Coal Ash Disposition: The Alternative for North Carolina," describes the saltstone technology which would encase the coal ash waste and isolate the toxins from the soil, air and water. View Photos from the March 27-28 Vigil. April 1, 2019: BREDL comments included: "40 to 85 percent of the fuel burned produces no electric power. But air pollution and global warming gases are created by combustion whether power is produced or not. Moreover, how the turbines are managed and the conditions under which they operate affect efficiency and air pollution emissions." "The potential emissions of formaldehyde may affect the children attending the Page County High School and Middle School ... each located less than a mile from the Shenandoah Compressor Station." "The DEQ must take steps to reduce this and other hazardous air pollutants at this compressor station." Mar. 27, 2019: Richmond, VA—Today in a peaceful, spiritual event, allied groups led by the Blue Ridge Environmental Defense League and Virginia Pipeline Resisters came together from across the Commonwealth to begin a 24-hour Vigil for Justice held outside the Governor’s Office. The action began with a Unity Rally with speakers who live along the routes of both the proposed Atlantic Coast and Mountain Valley Pipelines. The group prayed, read poems, shared stories, and read statements from landowners. They also displayed photo posters depicting the devastation current construction of the MVP is causing in Southwest Virginia. Feb. 11, 2019: Documents obtained through the North Carolina Public Records Act by Blue Ridge Environmental Defense League (BREDL) show that the Cooper administration is collaborating with the Atlantic Coast Pipeline (ACP) in their surveillance of opponents statewide and in communities impacted by the pipeline. The records came from the Department of Public Safety (DPS). Feb. 4, 2019: BREDL calls upon the NC Utilities Commission to reject the Integrated Resource Plan submitted by Dominion Energy North Carolina and require a cleaner, smarter plan. And we support similar calls directed towards Duke Energy’s plan. Feb. 4, 2019: The vulgar racism exhibited by the governor in medical school is no less harmful than that of the battle-flag crowd. Both have significant, pernicious and negative consequences on people’s lives. In the recent Union Hill compressor station debate, racism was side-stepped. It can no longer be avoided. The governor’s motives may be unclear, but his actions are not. His failure to recognize abhorrent behavior in medical school is mirrored by his similarly hurtful actions directed at the residents of Union Hill. The pattern is striking. Governor Northam’s racist blind spot is a feature of his actions, then and now. He should step down. On January 31, 2019, we presented a letter of request to the Madison County Board of Health. At the meeting, the medical director made some very disconcerting comments: that asphalt plant pollution is less worrisome than second-hand cigarette smoke. Clearly, many people do not understand the gravity of the air pollution problem posed by asphalt manufacturing in mountain regions. We are planning to bring the issue up again at the County Commissioners meeting on February 12. Jan. 16, 2019: The letter reads, "I would like an explanation why a date for the hearing to begin the process regarding revocation of the 401 water certification for the proposed Mountain Valley Pipeline has not been set. It seems the Virginia Department of Environmental Quality (VADEQ) is attempting to slow walk the direction given to you by the State Water Control Board (SWCB) at its December 13, 2018 meeting. This is an important meeting to prevent further degradation of the waters of the Commonwealth. As you are well aware, MVP has perpetrated over 300 violations by its poor construction methods and soil & erosion techniques through November 14, as described by your own staff. These violations resulted in a lawsuit filed by the Attorney General. Yet over a month after the direction given to VADEQ staff by the SWCB, this meeting has not been scheduled." 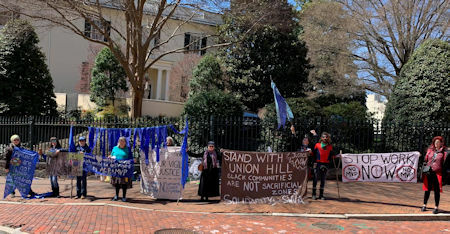 Jan. 3, 2019: Lovingston, VA—The Blue Ridge Environmental Defense League (BREDL) today called out the Virginia Department of Environmental Quality (DEQ) for its attempts to erase the lives and history of the Union Hill community while misleading the State Air Pollution Control Board (SAPCB) regarding the proposed compressor station site for Dominion Atlantic Coast Pipeline. The League Line: Winter 2019 issue is now available online. What if Blue Ridge Environmental Defense League earned a donation every time you searched the Internet? Or how about if a percentage of every purchase you made online went to support our cause? Well, now it can! Sept. 2015 BREDL Fact Sheet - Appalachian Materials, LLC Proposed Asphalt Plant in Glendale Springs, NC. March 2014: BREDL Fact Sheet: "Don't Dump Coal Ash on our Communities"
TERC is partnering with environmental action groups in twelve states to advance the quantitative literacy skills needed to understand and solve pressing environmental problems. BREDL and Concerned Citizens of Richmond County Press Conference - On October 8, 2015 Blue Ridge Environmental Defense League and Concerned Citizens of Richmond County stood in front of the HQ of NCDENR in Raleigh, NC to announce that they have renewed their citizen's lawsuit against EPA and the state's permit for failure to properly regulate Duke Energy's Turbines in Hamlet, NC. The citizens of Richmond county are already being harmed with excessive amounts of air pollution from Duke's power plant. Blue Ridge Environmental Defense League is a regional, community-based, non-profit environmental organization. Our founding principles are earth stewardship, environmental democracy, social justice, and community empowerment.